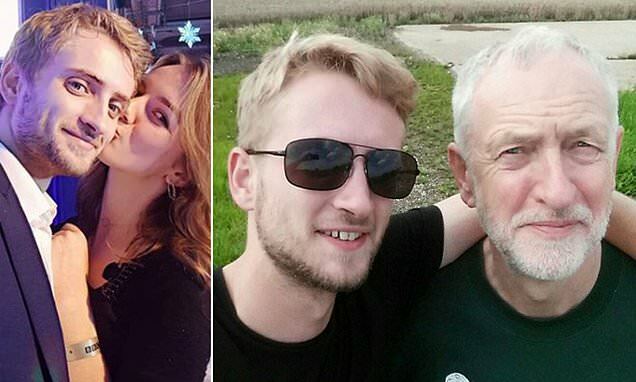 Jeremy Corbyn's son has been pictured smoking a suspicious-looking substance on a London street. Tommy Corbyn, 26, was seen smoking the roll-up with a friend outside a cafe in Notting Hill, according to The Sun. People caught smoking cannabis can be issued an on-the-spot fine of £90. A friend of Mr Corbyn's told the newspaper the substance he was smoking is legal in the UK and will be sold in his new 'National Hemp Service' shop. The 26-year-old has launched two companies - the National Hemp Service and The Hemp Cafe - to cash in on the craze for cannabis-related paraphernalia.